The windows in the house were opened over the weekend, filling the rooms with fresh spring air. Even without the major changes of season in Northern California, there is still a freshness in the air that has made an entrance in the past week. I cleaned out the majority of my garden, preparing the boxes and soil for a fresh crop of plants (so excited) and spent much of the weekend on the patio, soaking in the sun. My refrigerator is slowly filling with spring produce: asparagus, radishes, and strawberries. 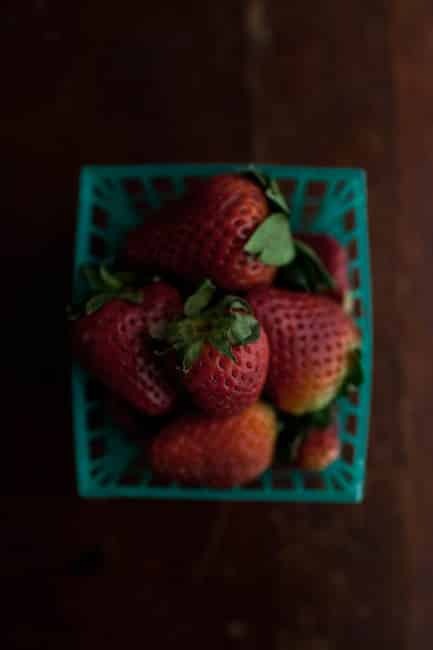 While I’ve been known to cook strawberries, I always feel that the first berries of the season should be eaten fresh with minimal fuss. I love the accompanying flavor of pistachios and cardamom (just a small pinch.) This topping would also be perfect for week day yogurt bowls or oatmeal! 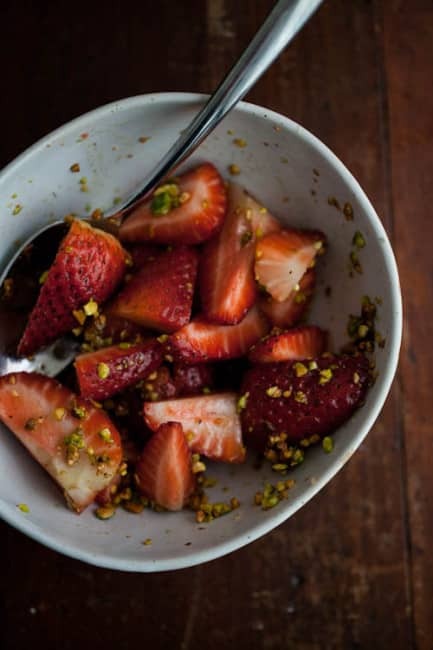 In a bowl, toss together quartered strawberries, pistachios, maple syrup, lemon juice, and cardamom. Let sit while making pancakes. In a separate bowl, whisk together egg, maple syrup, oil, and milk. Stir in to pancake batter, just until combined. Add more milk if needed to thin batter. 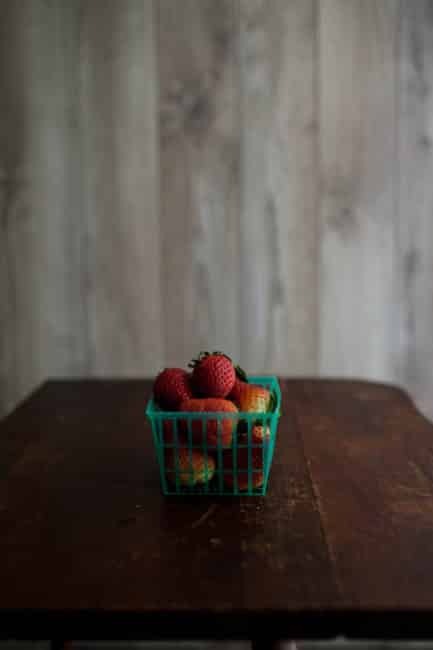 Serve with a bit of butter, a few spoonfuls of strawberries, and extra maple syrup if desired. 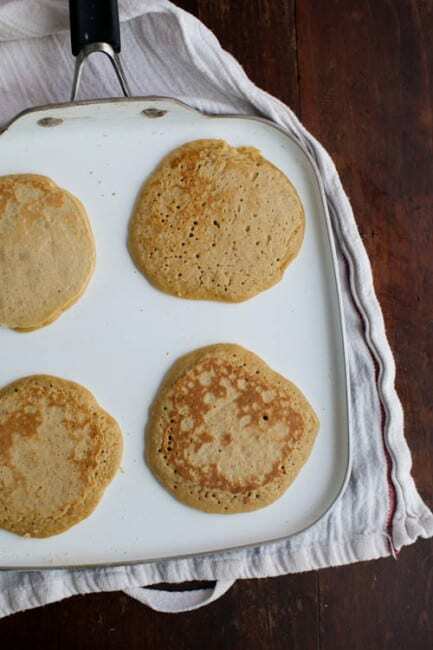 *If you can’t find whole wheat pastry flour, using unbleached all-purpose instead. 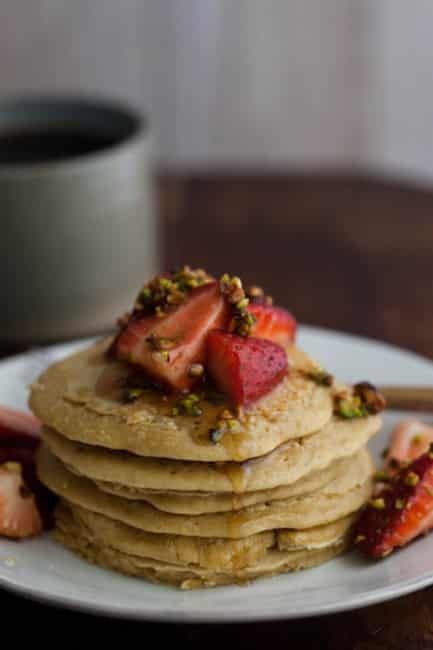 For an extra crunch to your pancakes, grind pistachios into a meal and sub in ¼ cup pistachio meal for ¼ cup of the flour. 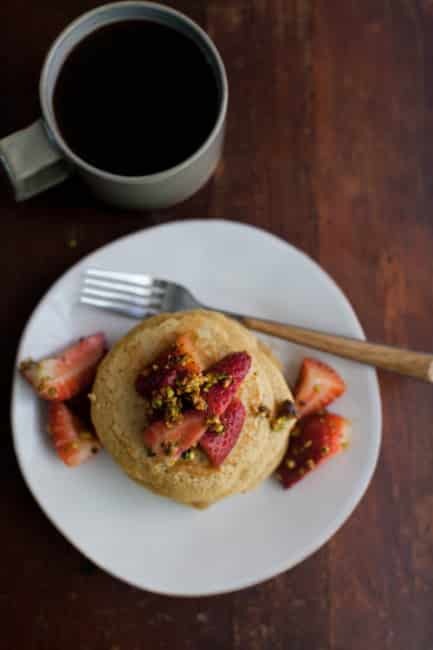 I’ve never put pistachios on pancakes before! These are fun! This looks heavenly! I can’t wait for spring produce. Here in Wisconsin it takes quite a bit longer, but I can still dream! I wish we could feel spring here. We worked out in the cold and rain tilling up new land. I can’t wait to feel the warm sun on my skin in a few weeks. Bring on the spring produce! These pancakes look fabulous. Been noticing that strawberries are slowly coming back into season here so I’m pretty pumped for this topping! These look delicious! I just discovered your blog. I read an earlier post, choosing one at random, and decided to follow you. What you said about reading email before work and not working weekends resonated with me. 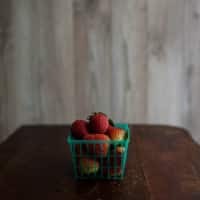 I, too, stopped doing these things and found my life a bit happier. Now I am quite stubborn about it. I will enjoy browsing through your recipes. I live in the Midwest so our spring produce comes a bit later but your recipes remind me they’re on the way! YES! We had our first warm day here in ages yesterday and all it made me want to do was prep my garden and go seed shopping! 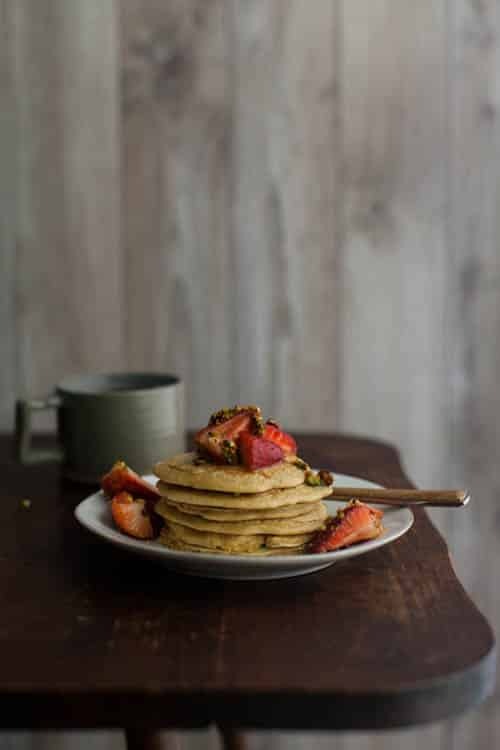 I’m totally into pancakes for breakfast at the moment and you’ve got a recipe I can’t wait to try out! Thank you!